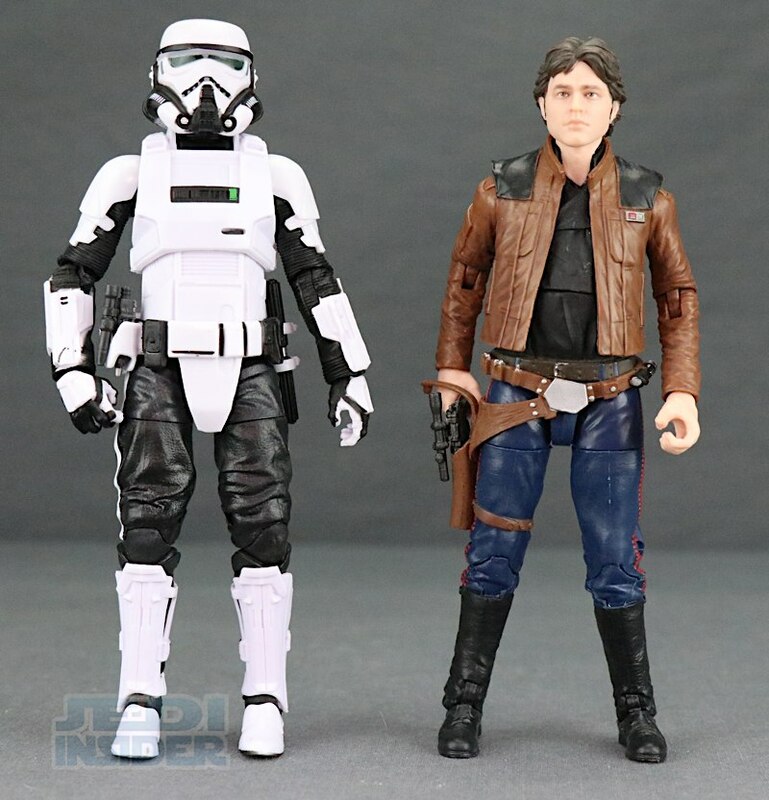 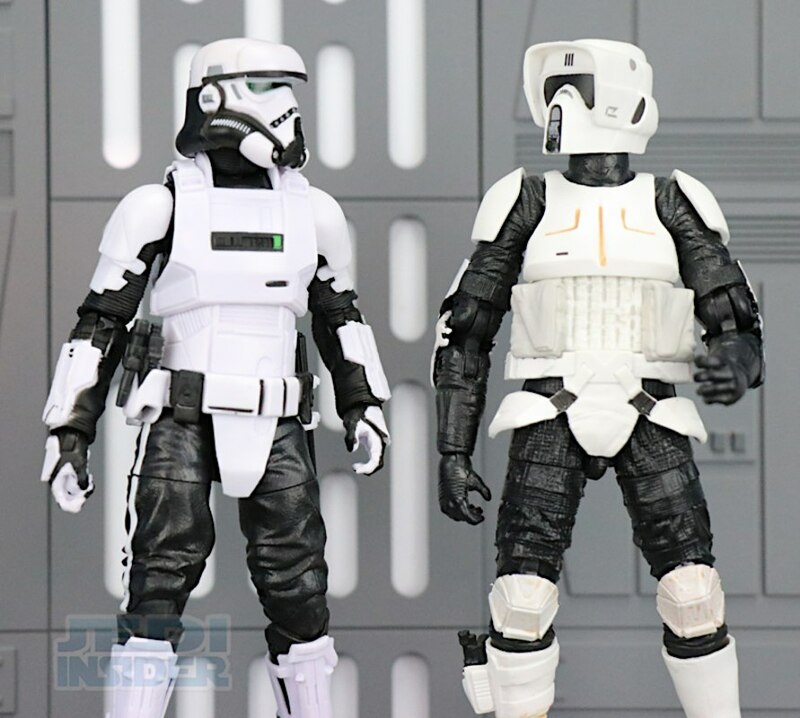 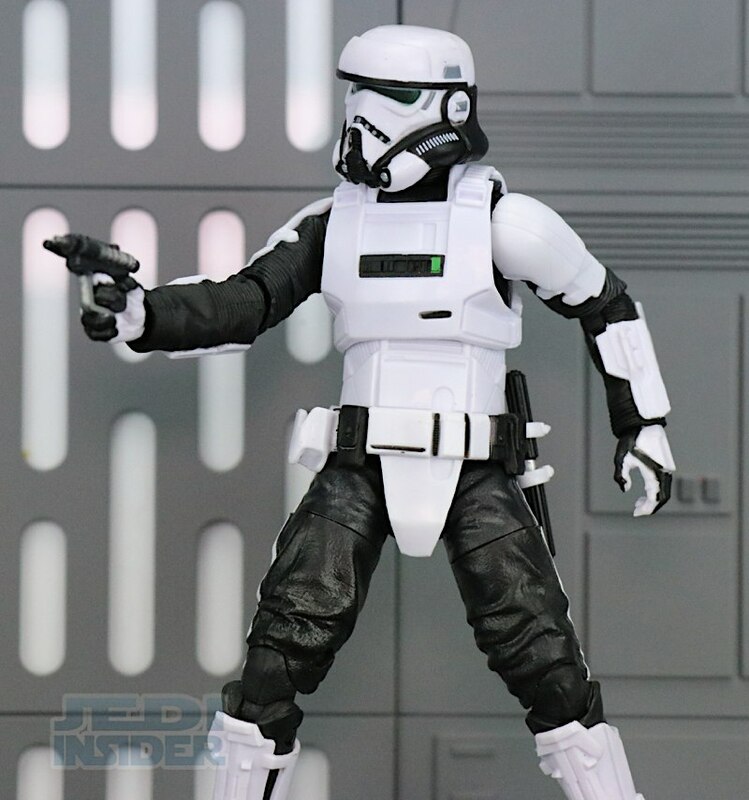 If you are looking for another cool variant Stormtrooper figure to add to your collection then you might want to check out this new 6" Star Wars: The Black Series Imperial Patrol Trooper figure from Hasbro which is based on another character from Solo: A Star Wars Story. 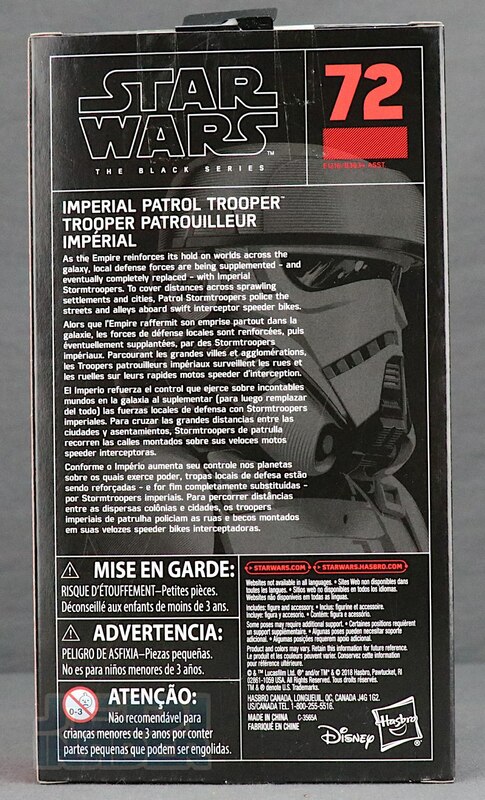 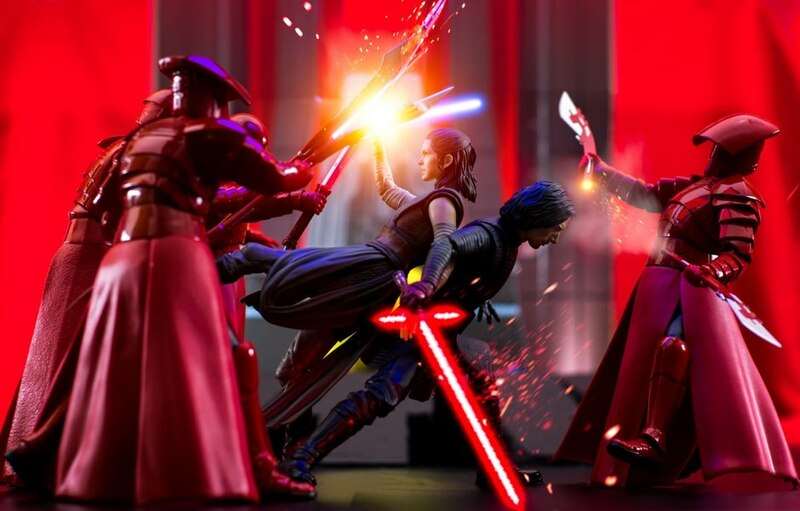 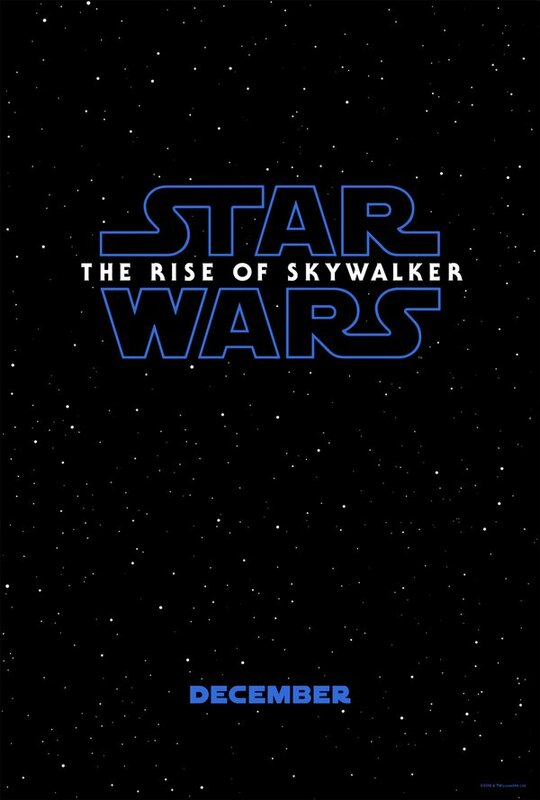 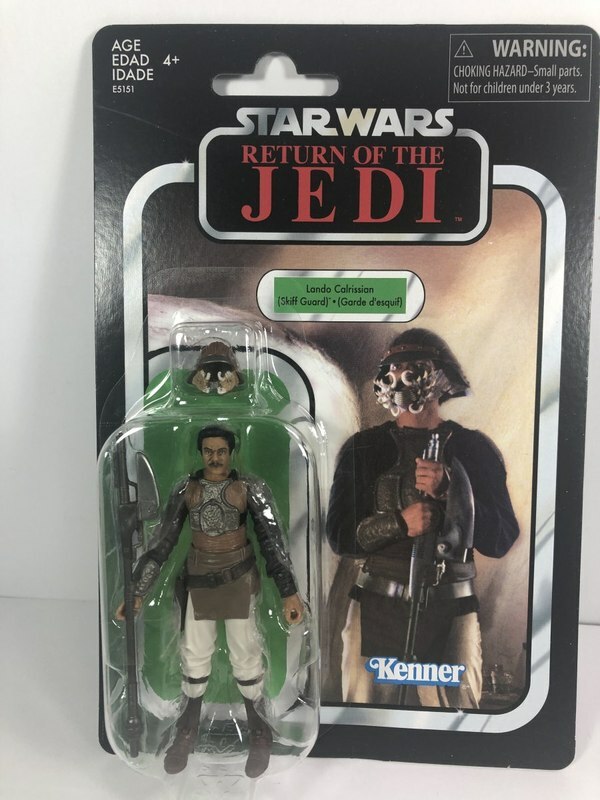 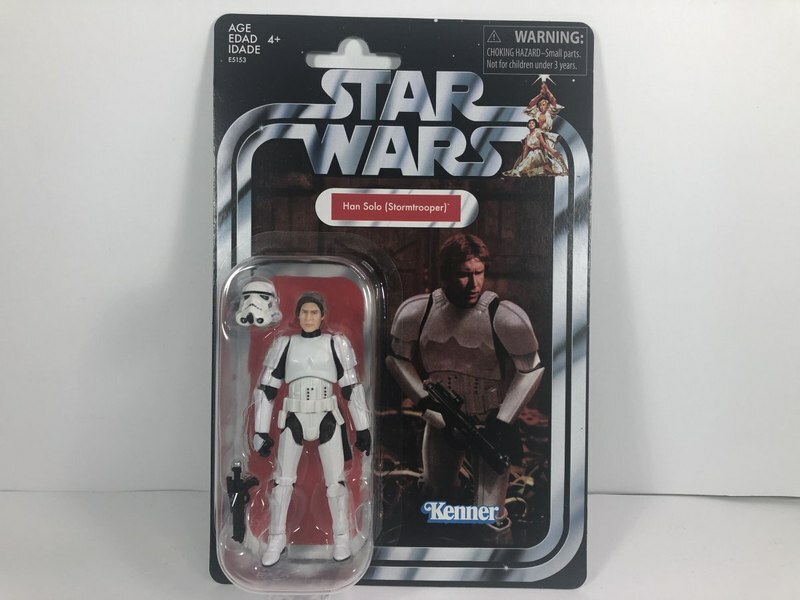 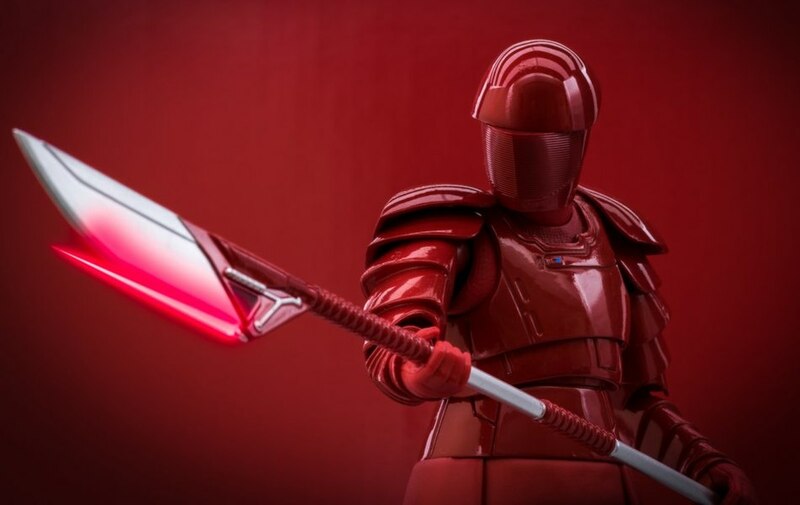 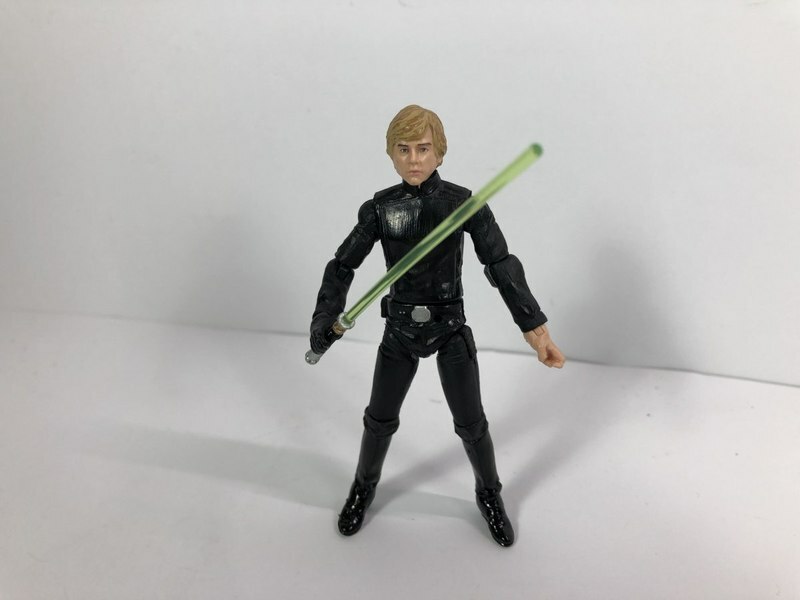 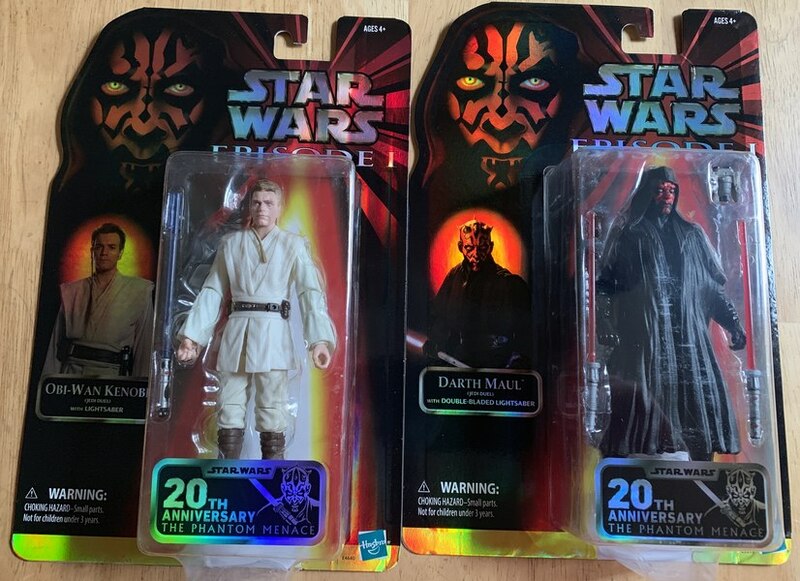 The figure features the same kind of window-box packaging we see with all the Black Series figures with the black and red box and the character bio on the back. 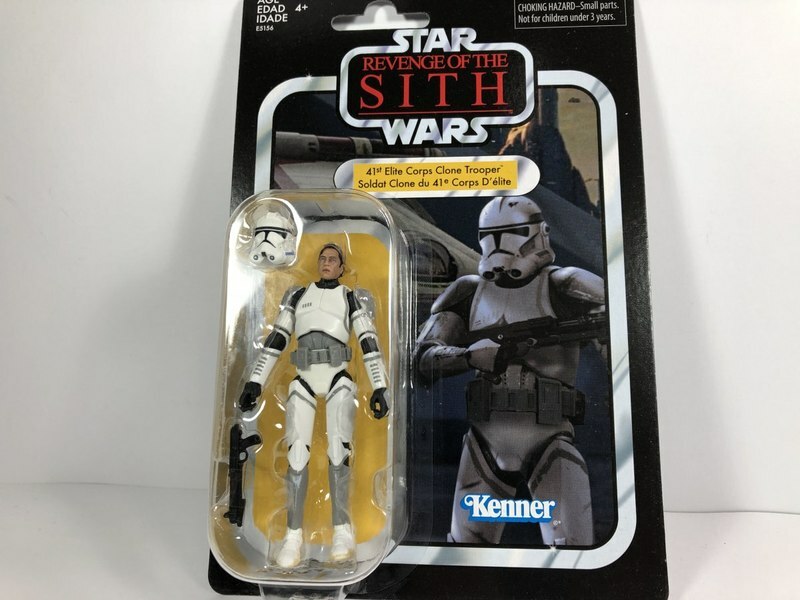 This is figure number 72 in the line. 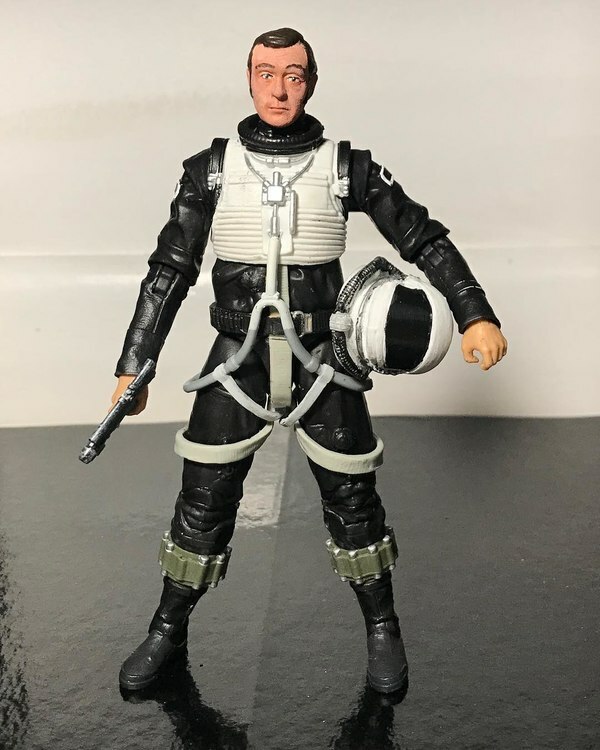 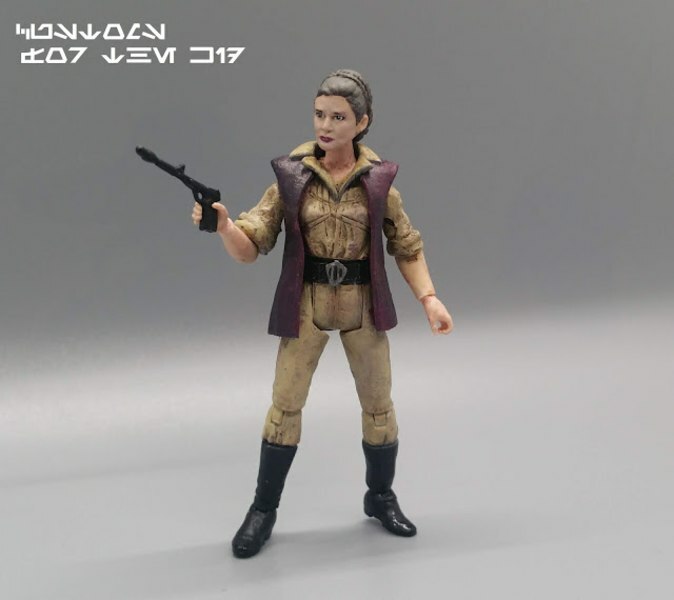 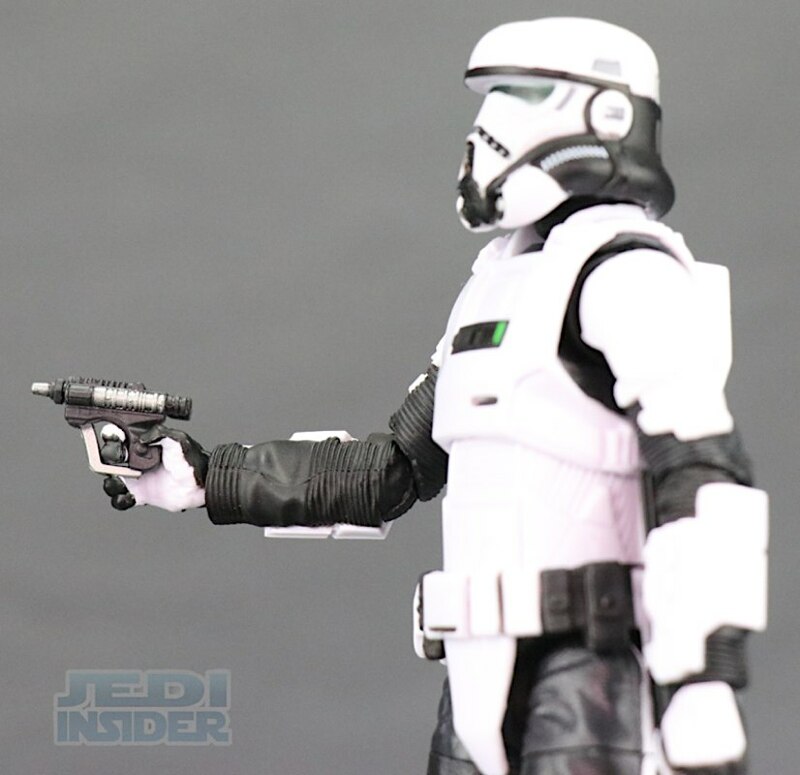 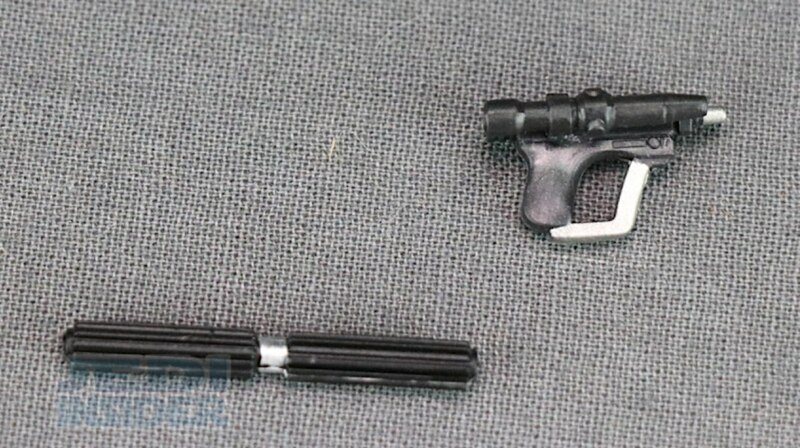 The figure comes with a blaster pistol that looks very similar to the ones used by the Biker Scouts from Return of the Jedi. 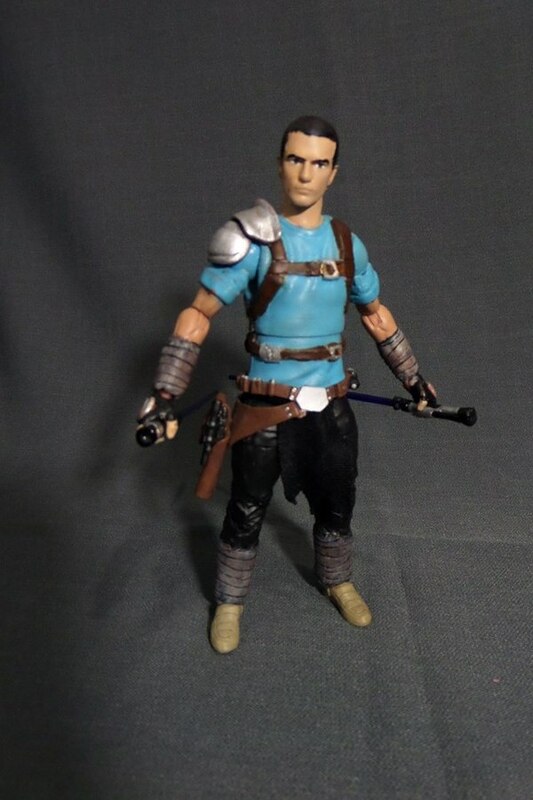 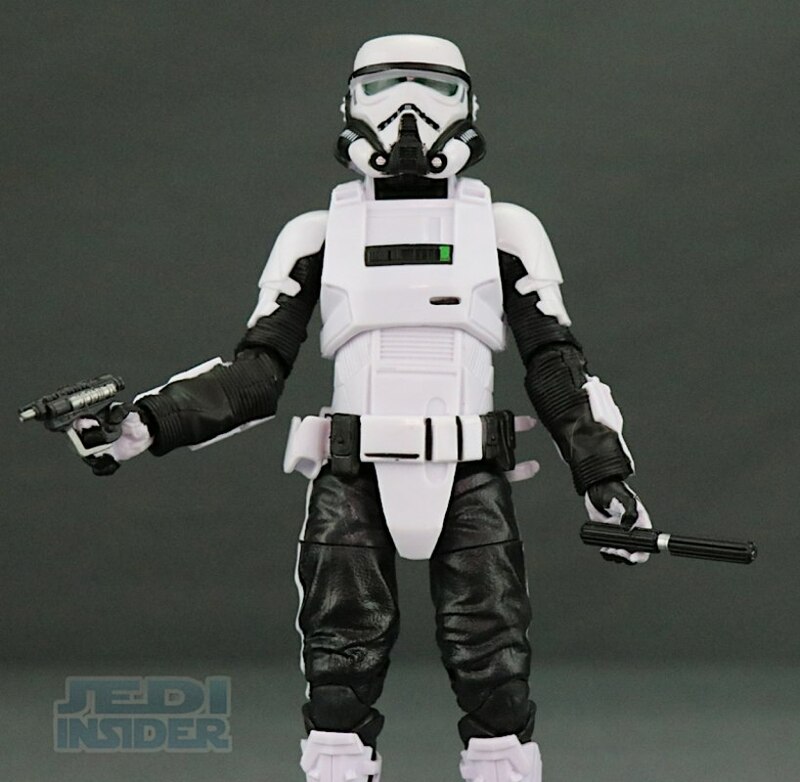 The figure also comes with what looks to be some kind of mini-night stick. These guys I guess are supposed to be the police officers of the Imperial government. 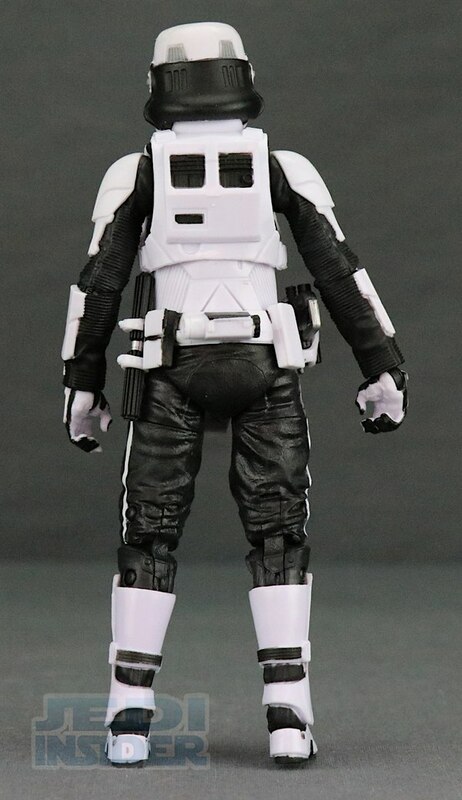 Both the blaster and the stick will fit on the figures utility belt and can be held in either hands. The figure sports an armor that like the blaster shares traits of the Biker Scout. 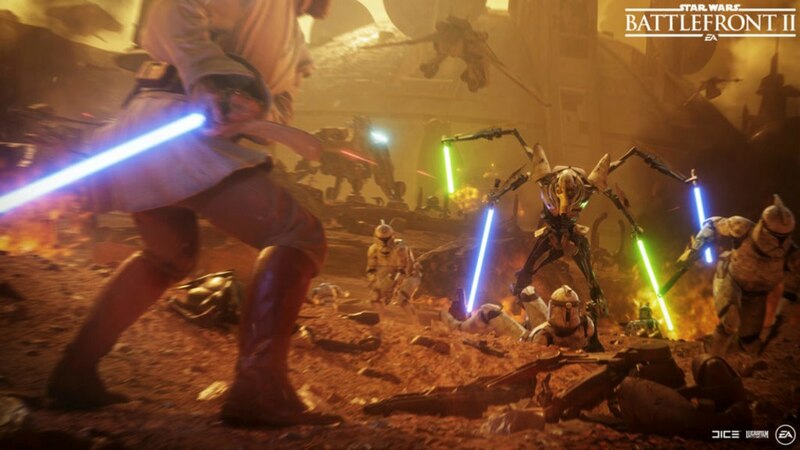 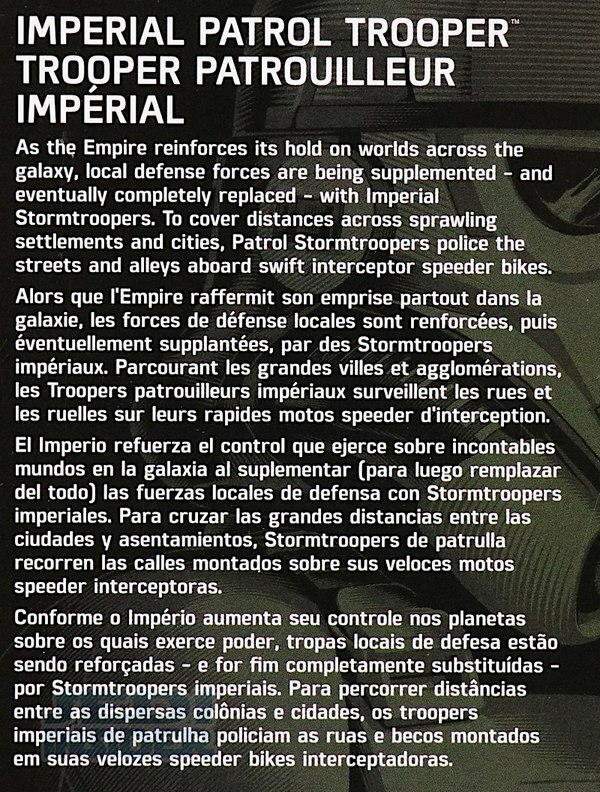 In fact these guys are listed as using Speeder Bikes for their patrols. 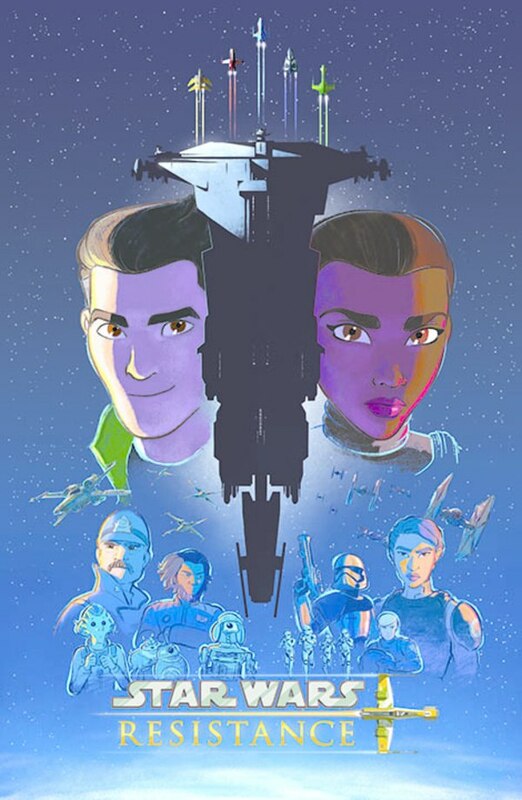 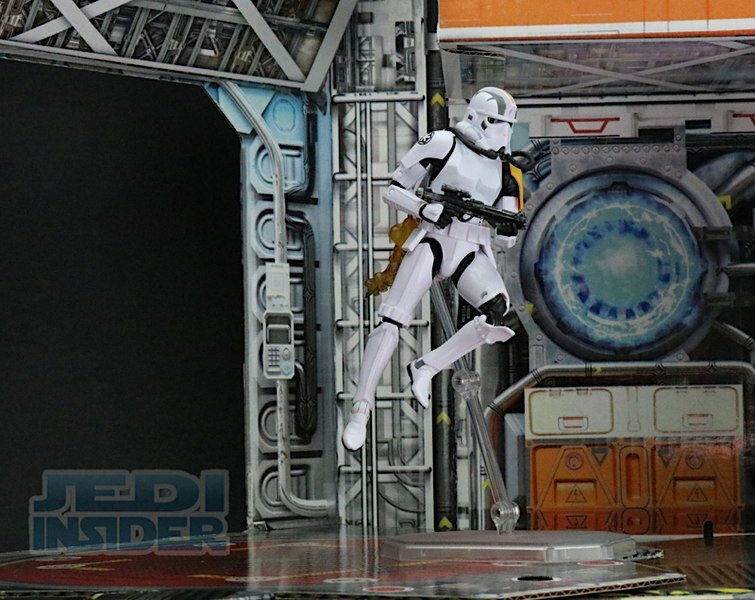 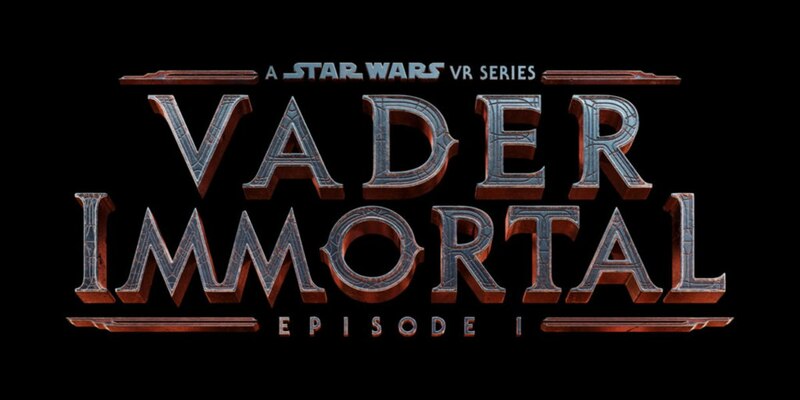 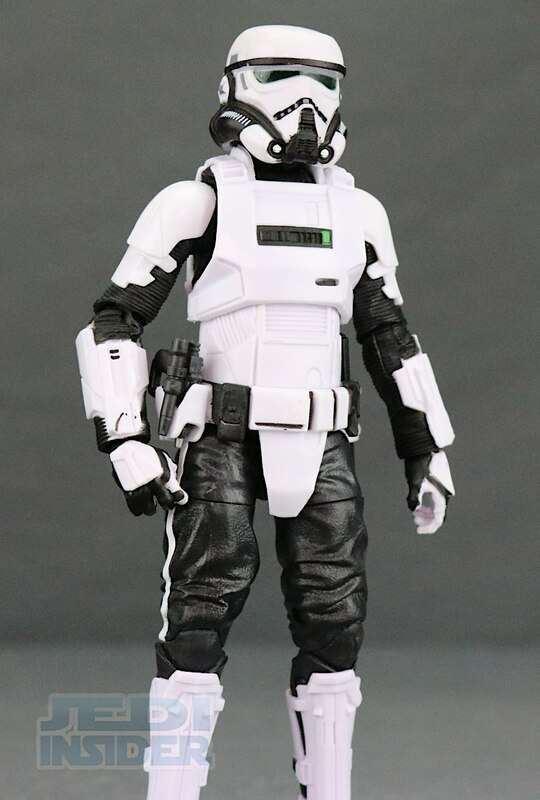 The helmet looks more like a regular Stormtrooper than a Biker Scout though. 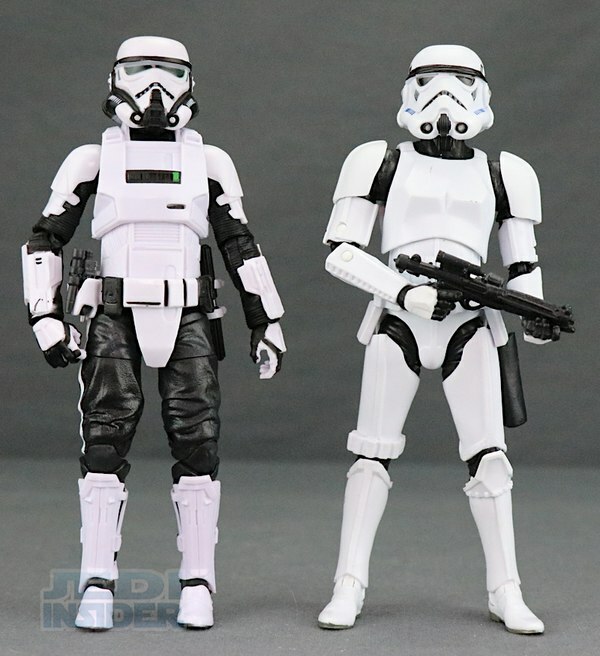 The paint applications are basic with white and black plastic. 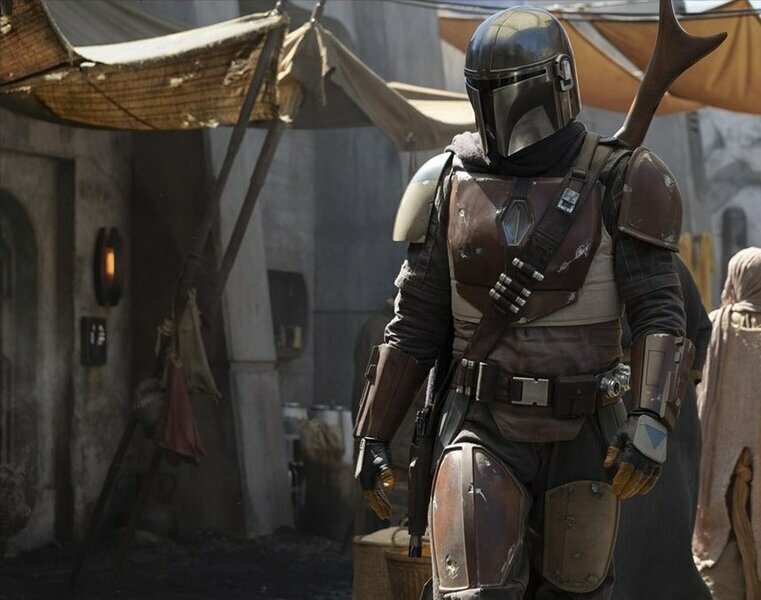 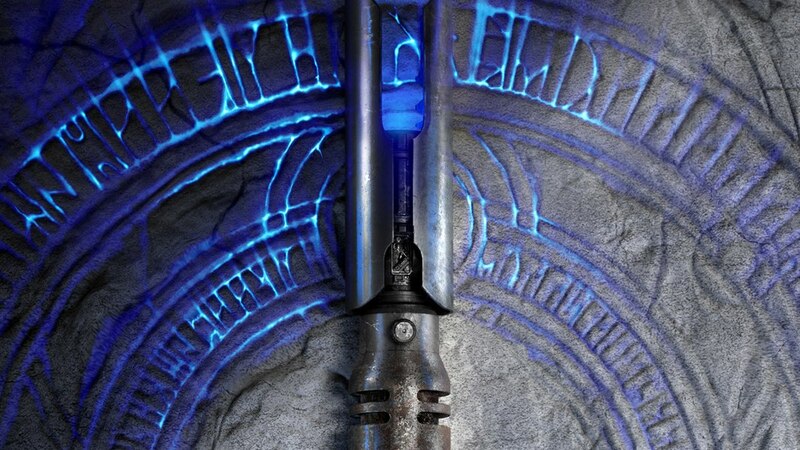 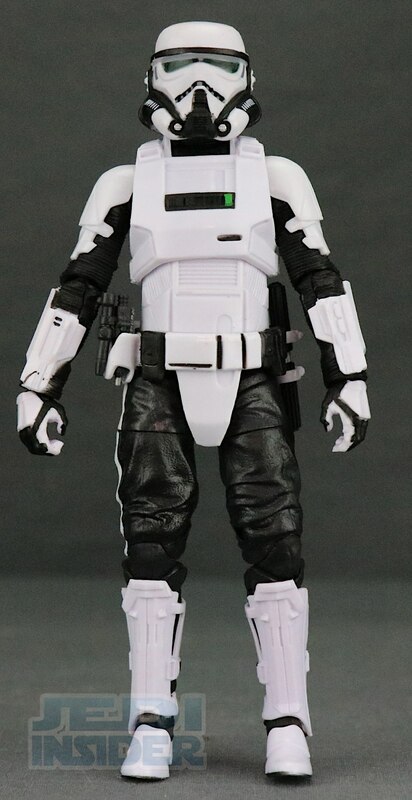 I do have a little black mark on the white portion of the armor at the right hand. 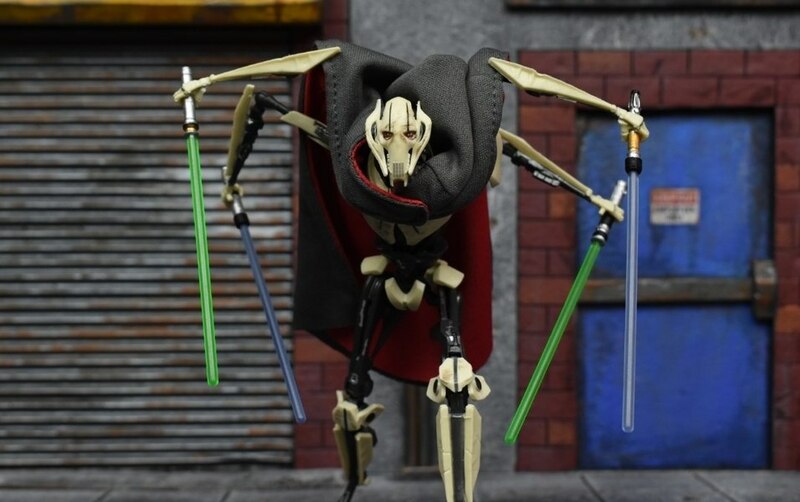 Articulation is pretty standard for a Black Series figure featuring single-hinged swivel elbows and double-hinged knees. 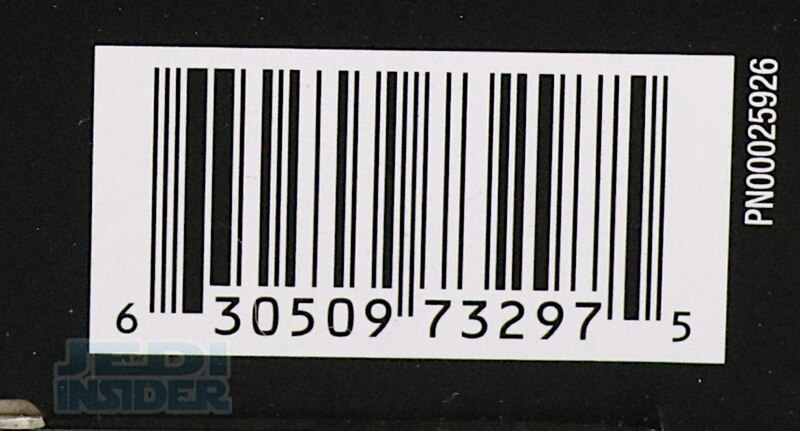 There is a mid-section joint for swivel but don't expect much in the way of an ab-crunch. 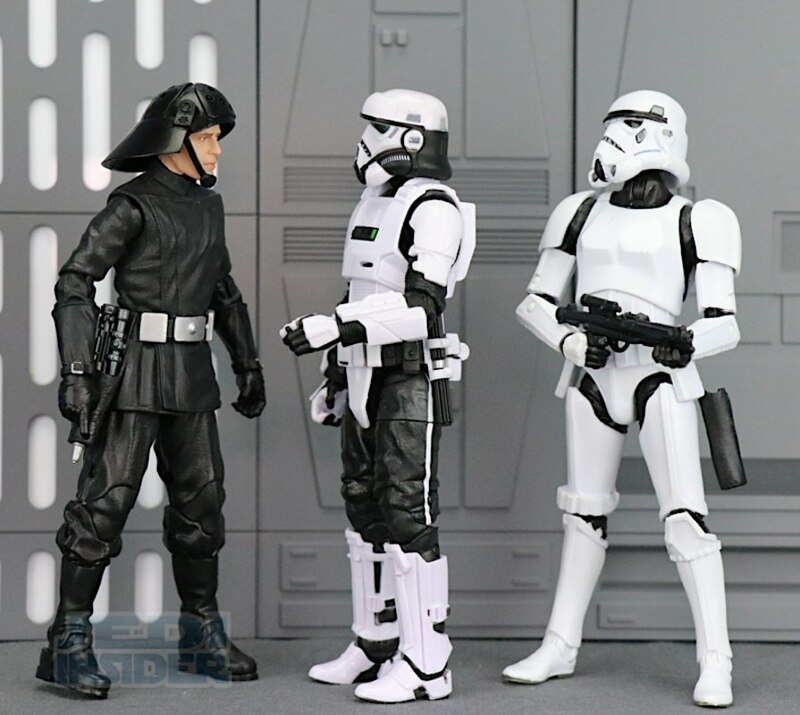 The scale is good, standing about the same height as the Black Series Biker Scout figure. 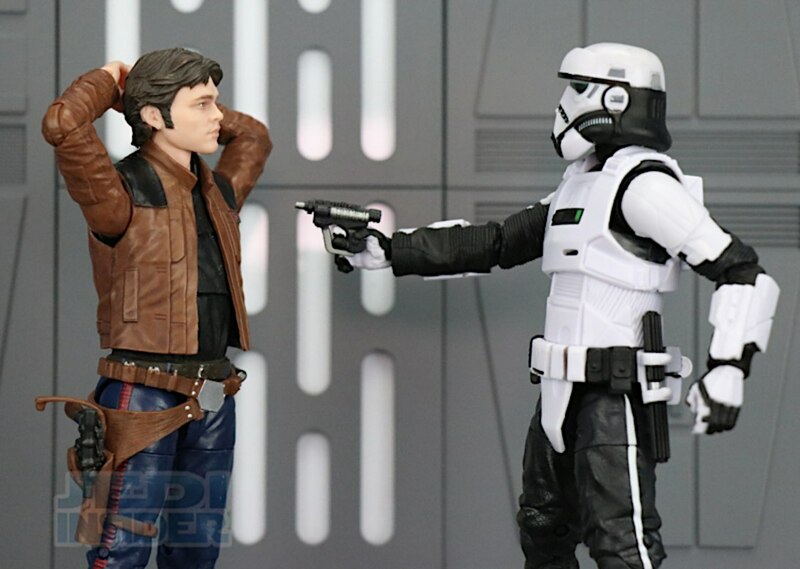 It fits in nicely with the other Solo: A Star Wars Story figures. 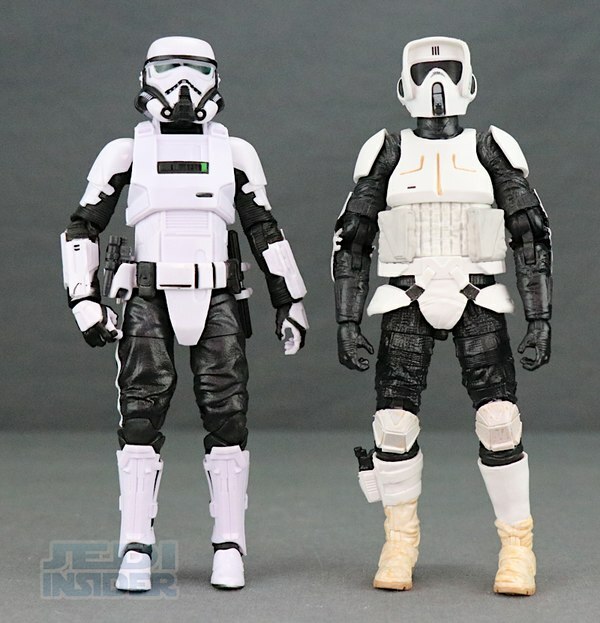 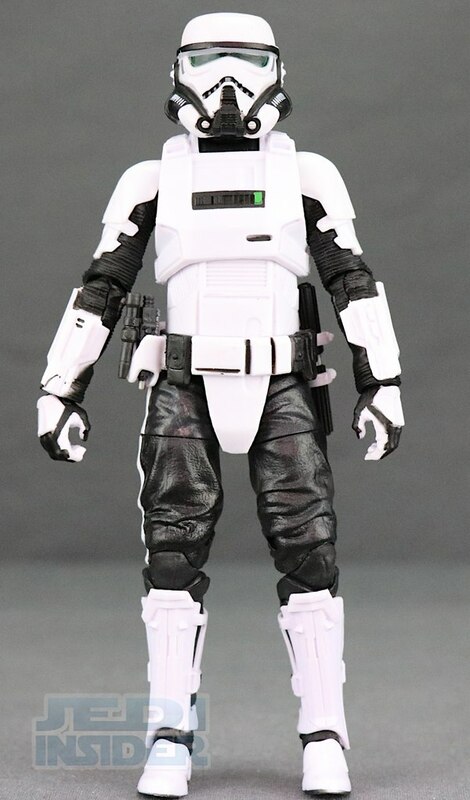 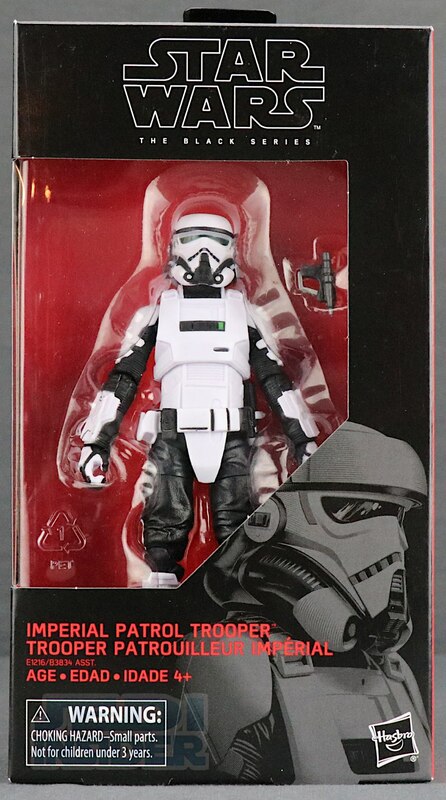 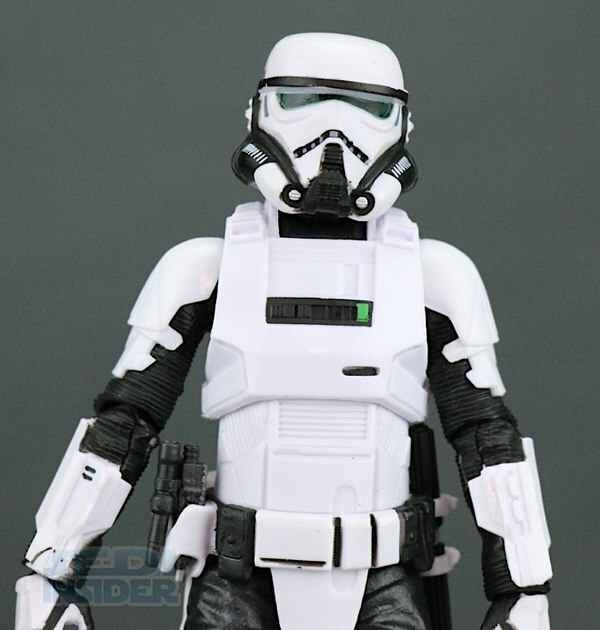 The figure is a good representation of the Patrol Trooper which I think maybe had 5 seconds of screen time in the movie but it's still a cool looking character, basically being a mash-up of the Stormtrooper and Biker Scout. 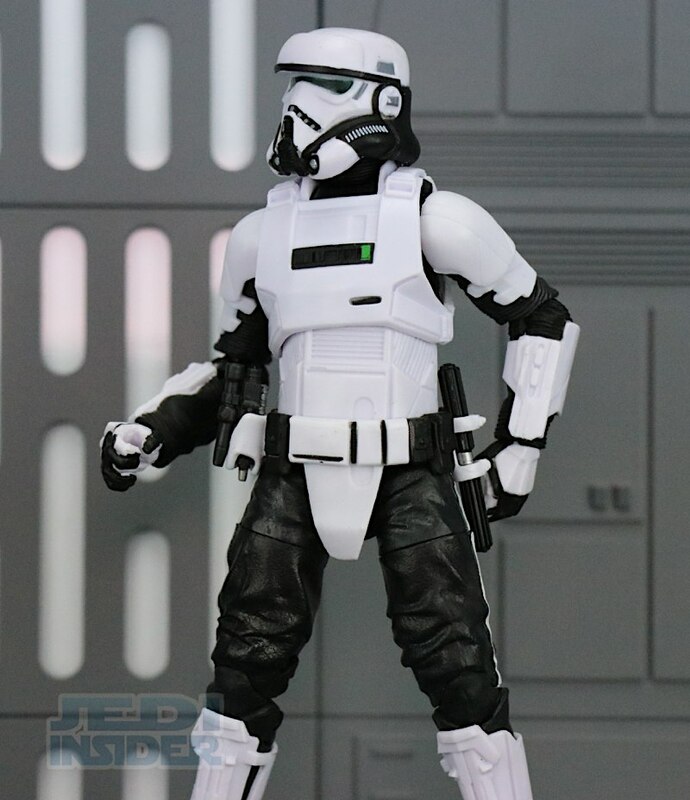 If you like variant Stormtrooper figures then this is one you will want to get, assuming you can find it on shelves. 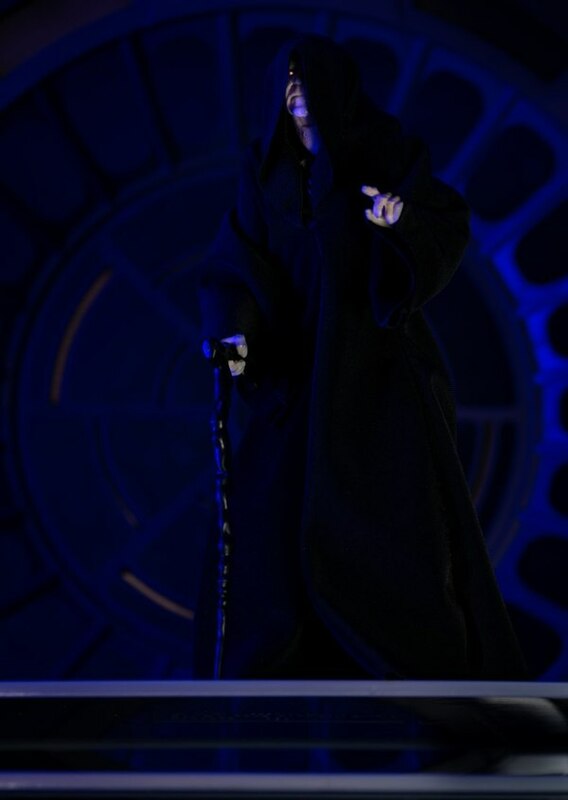 You can pre-order this figure now our sponsor Megalopolis.Toys. 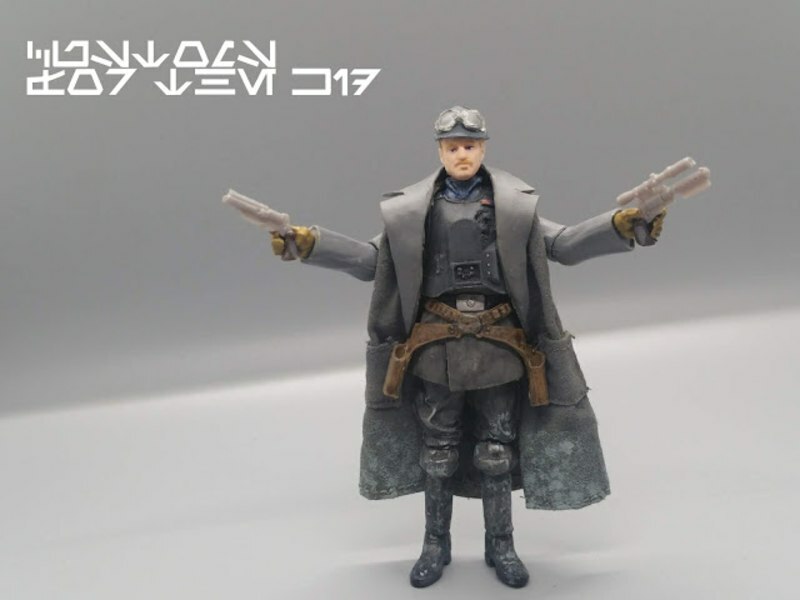 Check out more images for the figure and let us know what you think about it in the COMMENTS SECTION.